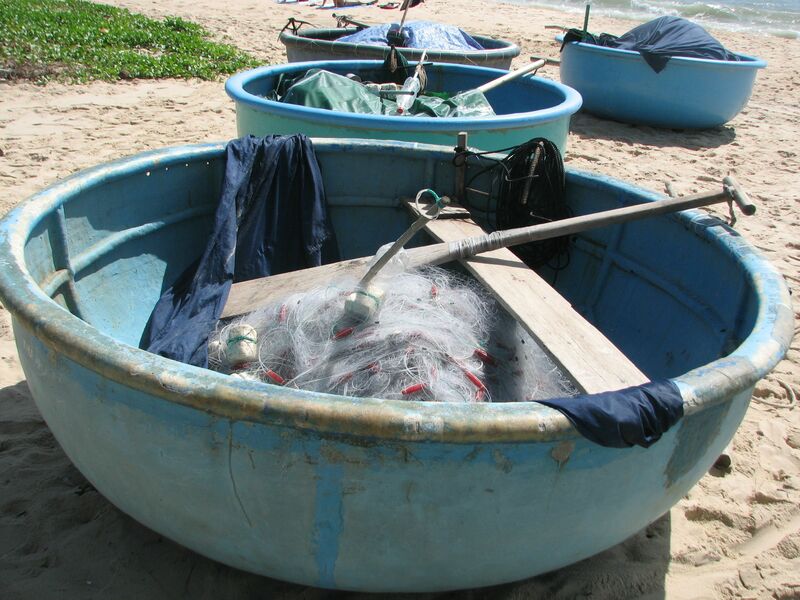 This entry was posted in Mui Ne, Mui Ne Accomodation, Over 60's Gap year, Pho in Vietnam, Saigon, Travel in Vietnam, Uncategorized, Vietnam, Vietnam Food and tagged Dudley Moore, Getting to Mui Ne, impressions of Mui Ne, Mui Ne, the Villa Aria Mui Ne, Train from Phan Thiet to Ho Chi Minh, Trains in Vietnam by hereinpuglia. Bookmark the permalink. 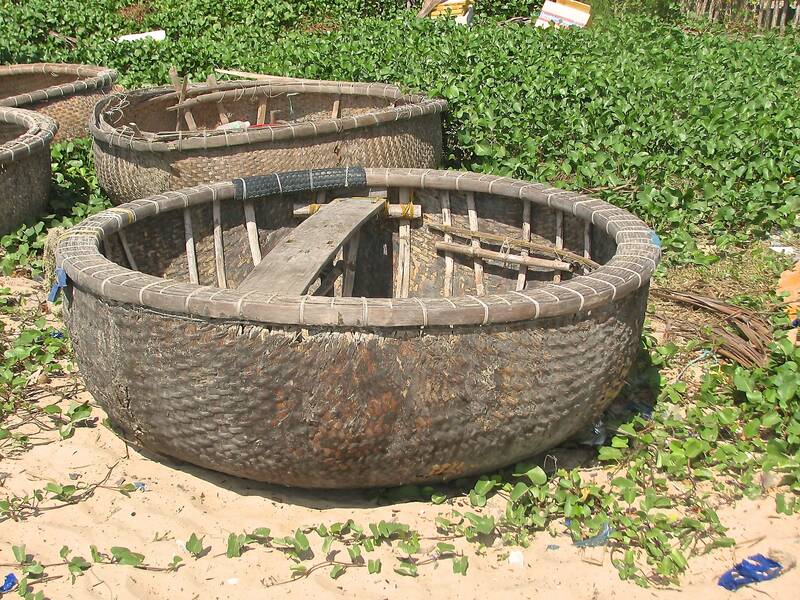 I actually had to go in one of your rattan coracles to get from the beach to a boat on which we were going fishing. 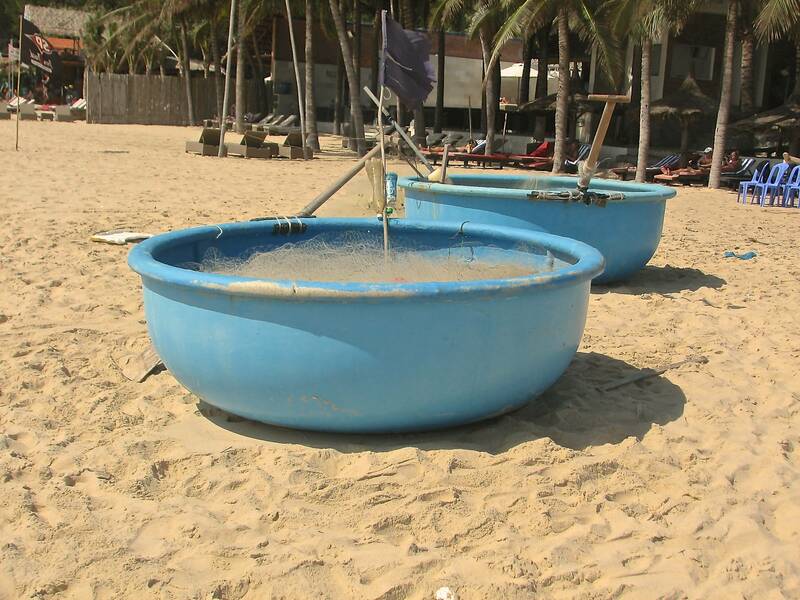 Even as a sailor and coracle owner it was a frightening experience getting through the surf! You made the right decision to take a train. Our taxi from Mui Ne to Saigon was the slowest journey I can ever remember. We were stationary for a lot of the time. Hoping your weather improves. We had a tremendous storm last night but today it is sunny and 7c.